Is there something you would really like to do? Maybe you want more than anything to have a surprise birthday party, and you make a secret wish for one at someone else's surprise birthday party. Maybe you want to do something simpler, like learn to fish. Do you think it is an easy thing to fish? The boy in this story found out fishing was not as easy as it looks. In the end our little hero learned to fish, but he really didn't understand why he was fishing because it seems he never caught a fish and really didn't want to catch one. Can you figure out why? 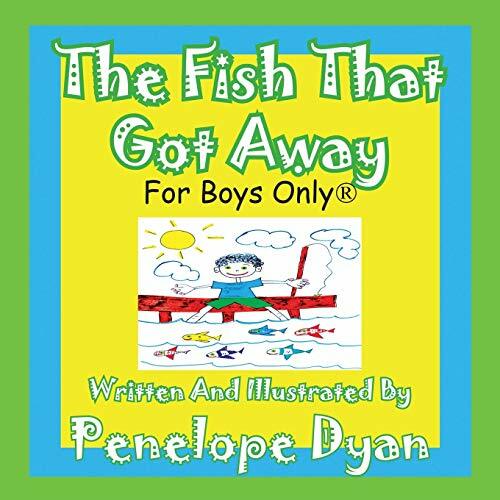 This book is written and illustrated by Penelope Dyan, a former teacher, as well as an attorney and an award winning author who has had two of her kids' books placed in the Saison Poetry Library in the Royal Exhibit Hall, London, UK, chosen by the UK Arts council. She is also recognized on the Pukeke Reading list of best books in Australia, with her book "A book For Girls About Being A Girl," ranked 3rd in books of poetry for girls ages 5-9.